Add New York Rangers’ all star Rod Gilbert to the list of prominent New York athletes who are #NotAFan of domestic violence, as evidenced by the latest spot in the fan-focused public awareness campaign. 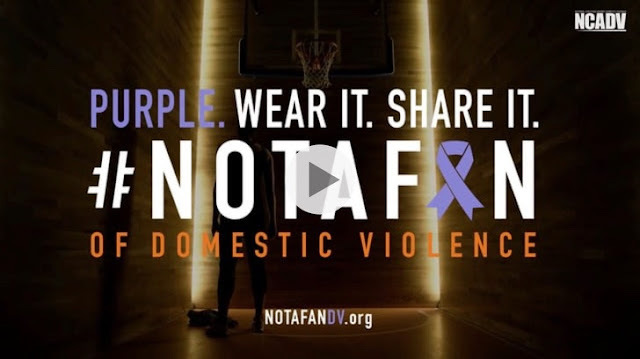 Created and produced by New York creative agency Blonde + Co for the National Coalition Against Domestic Violence (NCADV) and New York City Council Speaker Melissa Mark-Viverito, the campaign inspires fans to take a stand against perpetrators. The subject is timely and relevant, given recent news of domestic violence incidents with New York Giants kicker Josh Brown and New York Mets pitcher Jeurys Familia (who appeared but was later pulled from a #NotAFan spot). The campaign features well-known New York athletes as Yankees manager Joe Girardi; former Knicks star John Starks; Liberty’s Kiah Stokes; and Cosmos’ Lucky Mkosana and Giovanni Savarese. The spots are airing on the MSG Network, YES Network, SNY Network, ONE World Sports and featured on the teams’ various social media platforms, websites and indoor/outdoor advertising at stadiums. Additionally, Clear Channel donated space in Times Square, and is featured on screens inside New York City taxis. Blonde + Co founder Julie Stahl explained that the company partnered creatively on the project with director Jimmy Ferguson and writer Alexis Grenell. The goal of the live action was to grab viewers’ attention by crafting the spots more esthetically like sports commercials than conventional PSAs, and to drive engagement across diverse viewing platforms. Handling creative duties on the print side for Blonde + Co was photographer Celeste Sloman, Creative Director Grey Zisser and Associate Creative Director Andrea Cueva. In addition, the broadcast spots featured the color grading expertise of The Mill, New York — and the sound design/audio mix from U.K. based, Enos Desjardin. Reflecting on the project, Stahl adds that she is most proud to see that the campaign is helping change how sports leagues handle domestic violence issues. The recent swift suspension of Giants’ Josh Brown suggests they are listening.